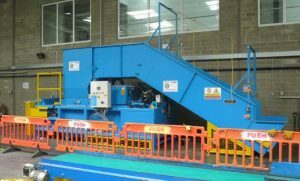 Waste recycling machinery specialist Middleton Engineering has won a new contract from St Helier Municipal Services in Jersey to design and install an in-floor conveyor solution to optimise and improve materials handling of waste recyclables for its expanding baling operation on the island. St Helier is responsible for kerbside collections and residential recycling for one third of the population plus card and packaging waste from 70% of the island’s commercial properties, all of which is sorted, baled and transported off island for reprocessing. A growing population, currently around 100,000 and with rising tourist numbers, adds to the pressure. The new chain conveyor which will incorporate a two metre in-floor section, rising at an angle of 30° degrees in a swan neck configuration, will provide an important upgrade to the St Helier facility making it both easier and faster to load an existing SCAPA ME 80 horizontal baler supplied by Middleton’s in 2014. As part of St Helier’s materials recycling line, the new conveyor is designed to feed material at up to 3 tonnes per hour or 24 tonnes per day, providing a consistent material feed to load the baler correctly and improve throughput. The in-floor section will significantly improve loading and at the same time reduce the level of manual handling. The process will also contribute to the production of consistent bales of waste material, in terms of weight and size, to further optimise containerised transportation and storage. Under the contract, Middleton Engineering were responsible for the design, manufacture and installation of the conveyor which was completed in June 2016, plus designs for the civil works including the pit for the in-floor section of the conveyor. Ease of access for scheduled cleaning and maintenance were also important design considerations. These allow debris to be removed and preventative maintenance to be carried out at required weekly intervals to limit service interruption. Safety systems are another crucial aspect of the design and with an overall length of 11.5 metres the conveyor incorporates a fully adjustable safety rope pull system over the conveyor with dual channel reset switches at each end. Other features include an automatic chain lubricator, an energy-efficient motor with soft start to minimise wear and speed controls to optimise flow rates. The conveyor was installed on time in June 2016. Covering some 45 square miles. the Channel Island of Jersey’s population is currently around 100,000 and growing. As an attractive holiday destination this is boosted significantly each year, with around 10 visitors for every resident. Jersey has a Zero Landfill policy which put the focus firmly on recycling. Any residual waste going to incineration at the Island’s Energy From Waste (EFW) plant. The goal is to remove as much recyclable material as possible and the commodities baled and shipped off Island for processing, either to France or England. The Island simply does not have the resources or scale for its own facilities. Middleton Engineering’s new energy efficient Two Ram balers are now better than ever. Designed with low running costs in mind, and with a revolutionary dual tying head for multiple waste streams, the SCAPA ME2R Twin Ram design is proven to save costs, providing a 3 year return on investment. We are raising the benchmark for balers again with our 2 Ram range. The fully automated equipment comes with touch screen controls and delivers between 80 – 150 tonnes of press force with a throughput for RDF of over 30 tonnes per hour. If you would like to know more about the reduced cost systems download our new brochure by clicking the button. 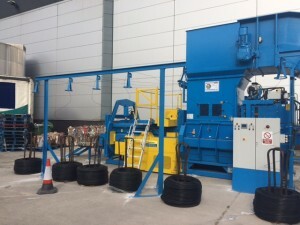 Environmental services company Yield UK, based in Widnes Cheshire, which provides security shredding and full on-site waste management services to a range of public and private sector organisations, has taken delivery of a third baler and conveyor solution from Middleton Engineering to meet expanding customer requirements. The fully automatic Scapa HB60 channel baler, together with an in floor feed conveyor, designed and manufactured at Middleton Engineering’s Somerset factory, will be operated on behalf of the fast growing B&M retail discount brand which now operates over 450 stores in the UK. 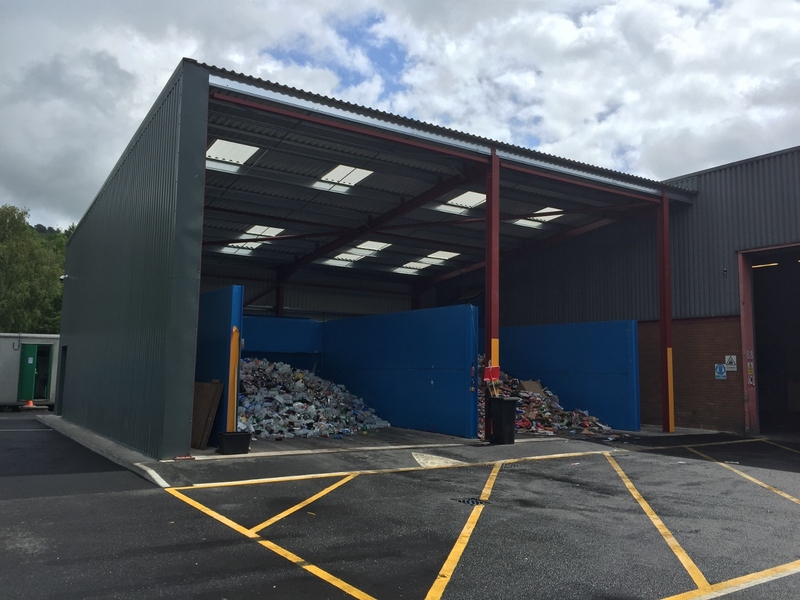 Under an outsource contract, Yield UK is helping to ensure that all back hauled packaging waste including paper, plastic and card at B&M’s new site in Middlewich is sorted, baled and diverted from landfill. With its 60 tonne press force and compact design, the Scapa HB60 is ideally suited to Yield’s requirements, ensuring the best use of limited space and delivering highly compact and stable mill size bales of card and plastics to optimise available storage and onward transportation. The robust solution is designed for easy maintenance with a typical throughput of 4 – 6 tonnes per hour, depending on waste stream and bale weights of between 450 and 550 kg. 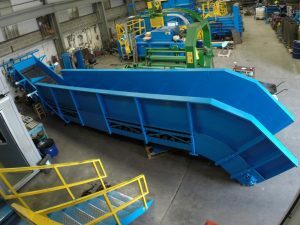 Under the contract Middleton Engineering is responsible for the design, manufacture and installation of the baler with an integrated in-floor feed conveyor to optimise loading, as well as full operator training. The company will also offer ongoing service and telephone support to provide Yield with expert backup to minimise issues and potential service disruption. Recycling engineers Middleton Engineering have completed a new materials recycling facility (MRF) for Merthyr Tydfil County Borough Council designed to support the council’s new kerbside recycling strategy. 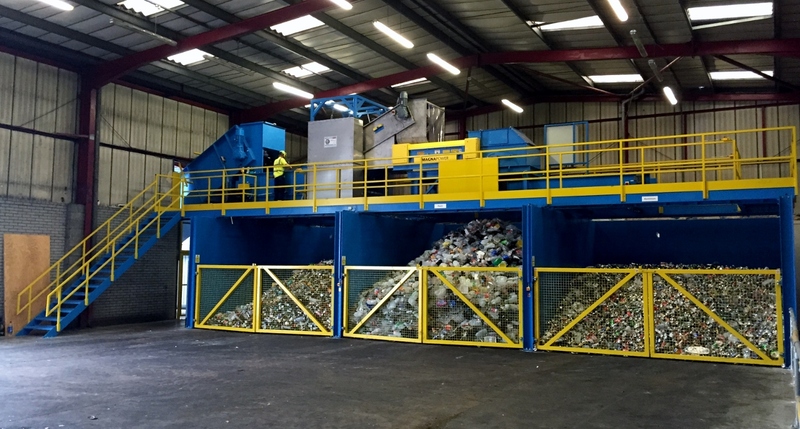 The facility built at the council’s site in Pentrebach, can handle 1,000kg of mixed household plastics and metal waste per hour and incorporates a series of bespoke feed conveyors including an in-floor section to facilitate loading. 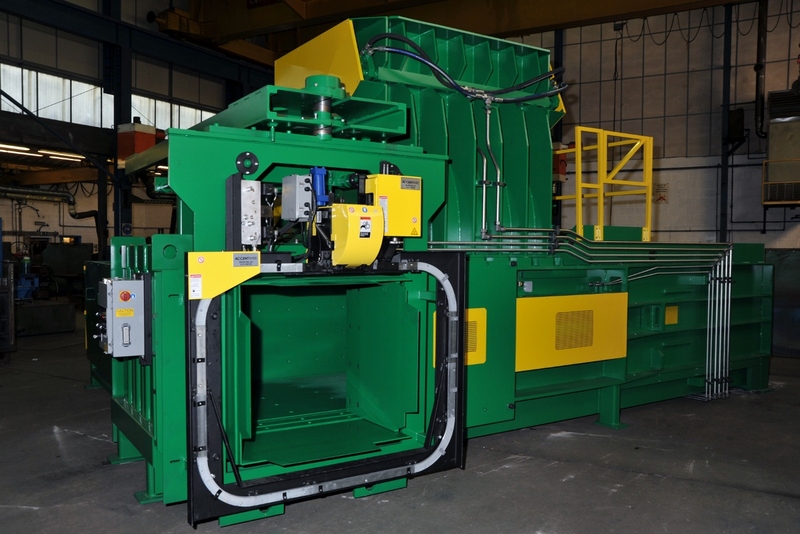 With six times the output of an existing machine, a new twin ram baler from Middleton Engineering is helping M.J. CHURCH deliver on its goals to recycle 100% of waste materials from commercial and industrial customers. 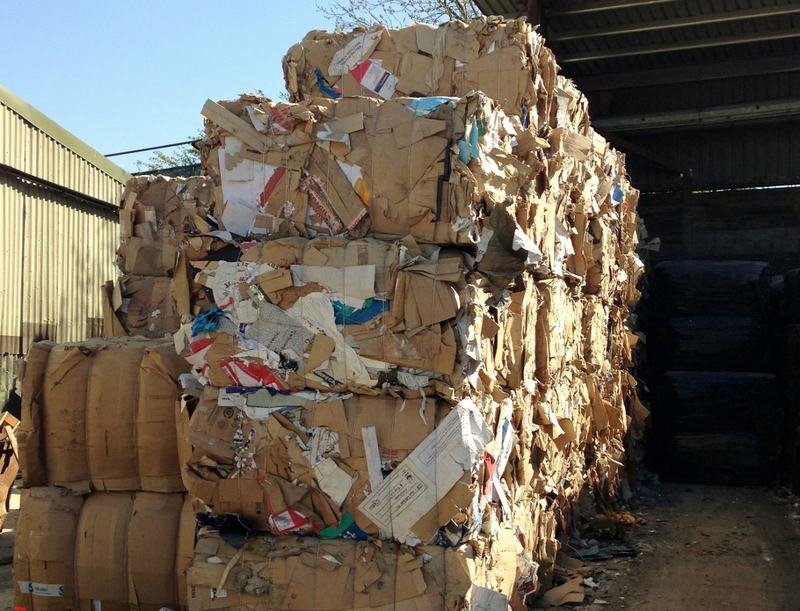 Waste streams include mixed construction plastics, rigid plastics and cardboard plus waste from the company’s skip hire and collection service. RWM 2015, will take place at the NEC on 15-17th September. Middleton Engineering will be on stand 5R54. Where we will showcase the latest developments and innovations to our Twin Ram Range. 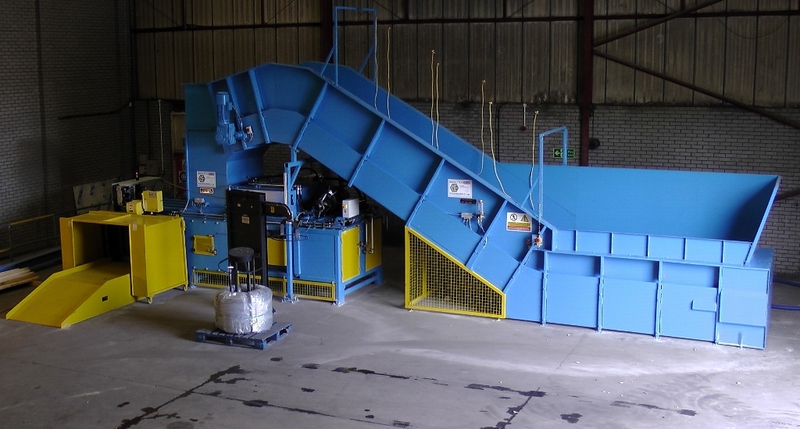 Our tried and tested Twin Ram balers are suitable for many waste applications. 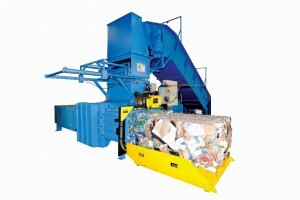 Our machinery has been developed to address key concerns in the waste recycling sector; safety and durability. Baler chassis are built from rugged steel to maximise the lifetime of the machine. All wear items have improved durability. Middleton Engineering prides itself on the quality, durability and reliability of its products and services. For more information please contact or visit our stand representatives. Claim your free ticket for the exhibition by clicking the button below. The Middleton Twin Ram baler range has added wood chip to its ever extending application range. The baler is designed for medium to large throughput ranges. Our Twin Ram machines regularly see throughput in excess of 30 tonnes per hour. 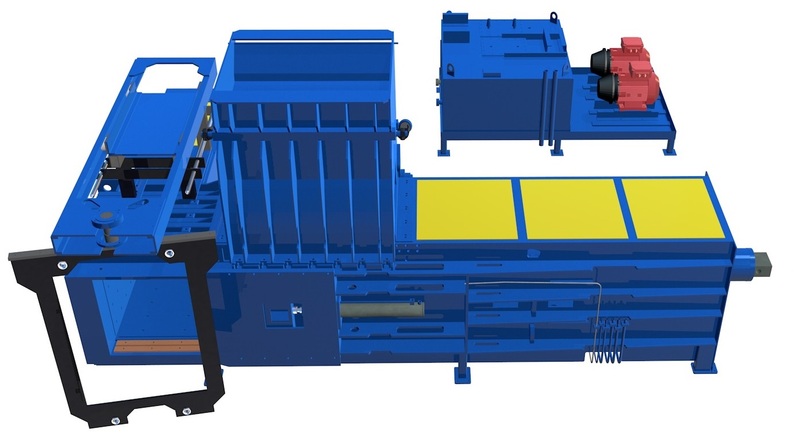 To bale wood chip modifications were set to the parameters of the machine and a specially designed chute was fabricated to retain the product prior to strapping. Bales can be tied automatically using either wire or cost effective plastic strapping. It is then necessary to wrap the wood chip bale as it leaves the baler. This is to retain all of the fragments. The bales can then be stored prior to being processed further. This system has successfully been trialled and proven at our factory. For more information please download the latest brochure and contact our sales team on 01458 860264. 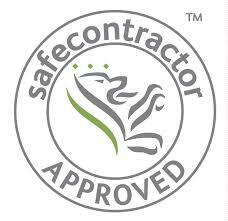 Middleton Engineering is delighted to announce that our excellence in Health and Safety has been recognised by Safecontractor. Under the Safecontractor scheme, Middleton Engineering underwent a vetting process which examined our health and safety procedures and our track record for safe practice. Middleton Engineering met the high standards have been included on a SSIP database that enables clients to vet contractors to ensure standards are in place prior to any works commencing.